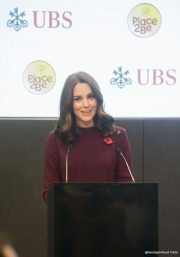 In 2017, the Duchess of Cambridge (Kate Middleton) debuted a new burgundy coloured dress at a conference in London. It’s the Eloise Tunic Dress by Goat Fashion. Described as ‘plum’ in colour by the British brand, Eloise features a high neckline, three-quarter length sleeves, four metal tone buttons on the shoulder and a short A-line shaped skirt. Goat Fashion describes the dress as “simple, chic and timeless”. In addition to the plum colour, the Eloise dress can be purchased in navy blue, marigold yellow, black and velvet black. 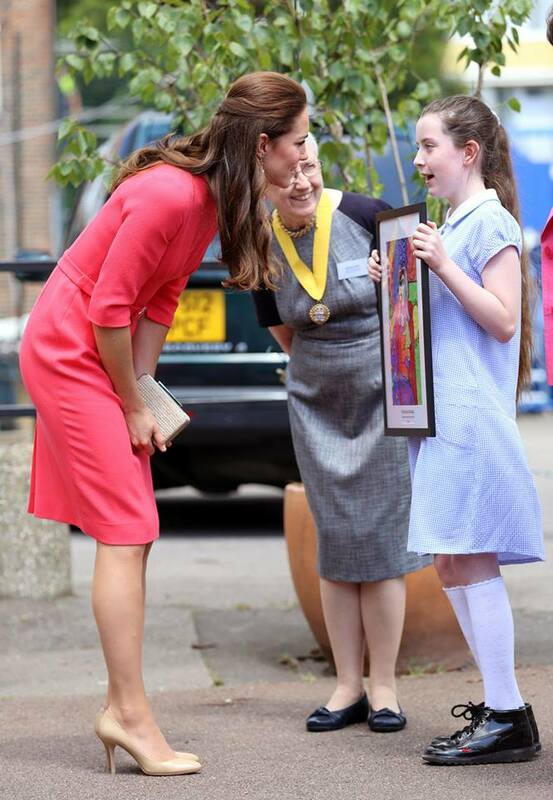 The purple colour worn by Kate retails for £480 GBP / $640 USD. On the product page, Goat says the plum coloured dress is currently out of stock. However, if you email the company, they’ll notify you when it’s restocked. Goat is a British fashion brand, established by Jane Lewis in 2001. Jane designs clothing for the “working wardrobe, for women who want to “look and feel their best without fuss or ostentation”. Goat represents understated elegance for stylish, discerning women. Celebrity fans include Victoria Beckham, Lana del Rey and Gwyneth Paltrow. The British based brand has a flagship store on Conduit Street in London. 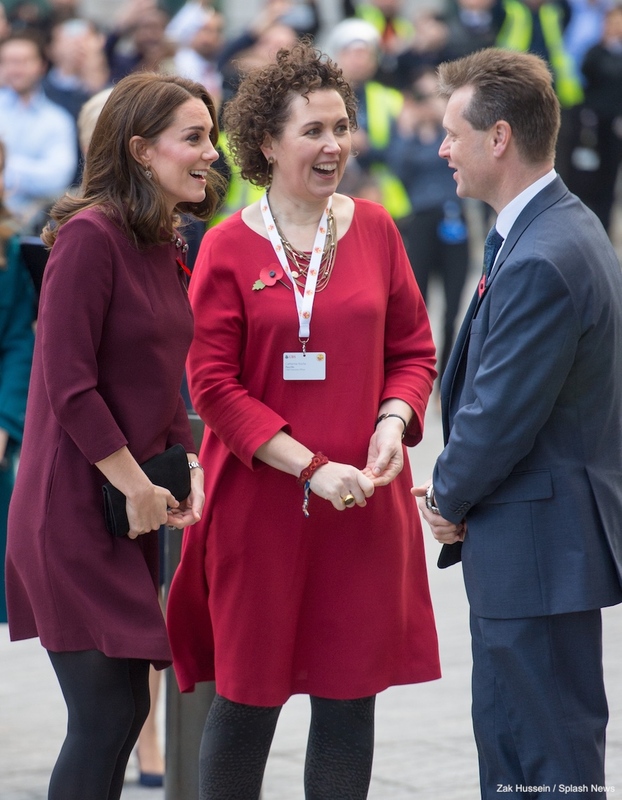 Kate owns several items from Goat, including three dresses and one coat.